Taking iron supplements has long been an established way to care for a number of health challenges. 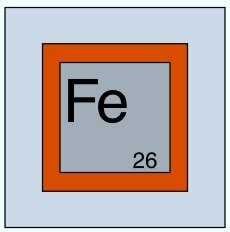 The most common treatment that iron is used for is anemia. Yet there are circumstances, conditions and diseases that you should not take in extra iron. A lesser known reason for taking iron is that some studies indicate it can help your body make three times the glutathione you would with normal efforts. This means your GSH boosting efforts can be increased with simple, safe dietary changes. There are several challenges with iron supplements however. There are also several new benefits of taking iron that you probably have not heard of. For instance, your iron stores are related to your ability to raise your glutathione levels. What if there were a way to get all of the benefits with none of the risks? What if the medicine was not in your medicine cabinet, rather what if it was in your cupboard? First, we will have a review of the iron supplements, benefits, risks and dangers. Then we will look at the medicine cabinet in your cupboard. Ways to increase your iron stores and even manage many health problems without medications or supplements. Boosting your iron is also a part of maintaining our blood. If you are anemic, this is one of the essentials you need to build blood. Interestingly, one study found that boosting glutathione also helps increasing blood counts. Most people know that iron supplements can cause the bowel to block up. A more dangerous side effect happens when small children get their hands on the iron supplement bottle. This can be life threatening. Natural Iron Supplements Here you will discover some of the best iron supplements, only they are not in a pill or capsule. These are safe, even around little children. Iron Nutritional Supplement Take a look at liquid iron supplements compared to dietary iron supplements. Dietary Sources of Iron Dietary Sources of Iron: Your vitamins and minerals in your cupboard and your fridge. Cysteine: The Essential Glutathione Booster that iron will make work even better. These are foods that are readily available and are not expensive. Boost Your Glutathione to promote the glutathione health management benefits. Some foods will boost your GSH and also have considerable iron within.